Asian shares stepped back from more than two-year highs on Tuesday and the dollar extended losses as passage of a U.S. healthcare bill grew doubtful, and as investors bet the Federal Reserve will be more cautious about raising interest rates. MSCI's broadest index of Asia-Pacific shares outside Japan was down 0.1 percent, a day after scaling its loftiest levels since April 2015. Republican Senators Jerry Moran and Mike Lee announced their opposition on Monday to legislation to dismantle and replace the Affordable Care Act, commonly known as Obamacare, leaving it without enough votes to pass. Fading support for U.S. President Donald Trump was weighing on the dollar, he said, as the U.S. administration struggled to gather enough backers in the Senate to pass the healthcare reform bill, raising doubts about how the rest of its ambitious agenda would fare. Fading U.S. rate hike bets also weighed on the dollar. Fed funds futures continue to show less than a 50 percent chance of a rate hike in December after Fed Chair Janet Yellen sounded a cautious tone last week in congressional testimony, and following downbeat U.S. inflation and retail sales data on Friday. Overall Asian sentiment remained underpinned by solid China data on Monday, which showed its economy expanded at a faster-than-expected 6.9 percent clip in the second quarter, setting the country on course to comfortably meet its 2017 growth target. The U.S. dollar sank to a 10-month low against a basket of major currencies on Tuesday, hobbled by uncertainty over the pace of the Federal Reserve's policy tightening and worries that President Donald Trump will fail to deliver healthcare reforms. Two more Republican Senators, Jerry Moran and Mike Lee, announced their opposition on Monday to a revised Republican healthcare bill, delivering a serious blow to the legislation. Friday's weak reading on U.S. inflation and retail sales also fanned speculation that the Fed may not have justification for another rate hike by the end of this year, despite policymakers' projection for such a move. Money market instruments are now pricing in less than 50 percent chance of a rate increase during the rest of the year. In contrast, central bank policymakers in the euro zone, the UK and Canada have recently signaled they could adjust their policies, with the Bank of Canada raising rates last week for the first time since 2010. The dollar's loss accelerated after the euro rose above a major big number of $1.15. The European Central Bank is expected to keep its policy on hold at its rates review on Thursday while many investors expect it to signal a reduction of its stimulus in the following policy meeting in September. China's economy expanded at a faster-than-expected 6.9 percent clip in the second quarter, setting the country on course to comfortably meet its 2017 growth target. Gold continue to gain ground on Tuesday in Asia a day after China reported strong second quarter GDP, industrial output and retail sales figures for June with industrial metal demand for housing and property development also in focus. China released second quarter GDP growth with a gain of 1.7% that matched expectations and a year-on-year increase of 6.9% that came in slighltly higher than the expected 6.8%. At the same time, China reported industrial production gained 7.6% from a year earlier in June and retail sales rose 11% in June. A weaker dollar has helped shore up sentiment and gold prices. The market will now look towards Thursday and a meeting of the European Central Bank for fresh clues on when the central bank will shift away from its ultra-easy policy. Markets in Japan are shut on Monday for a holiday. Last week, gold prices rose to two-week highs on Friday as weak U.S. inflation data added to doubts over whether the Federal Reserve would raise interest rates for a third time this year. Oil prices were stable on Tuesday, supported by strong consumption but weighed by ongoing high supplies from producer club OPEC and also the United States. In a sign of strong demand, data on Monday showed refineries in China increased crude throughput in June to the second highest on record. Despite this, oil markets have struggled with oversupply since 2014, resulting in a more than 50 percent fall in prices since then. A deal by the Organization of the Petroleum Exporting Countries with Russia and other non-OPEC producers to cut supplies by around 1.8 million bpd between January this year and March 2018 has so far not led to the tighter market and higher prices that producers have hoped for. That's because supplies from within OPEC remain high largely due to rising output from Nigeria and Libya, two OPEC states exempt from the pact, and increasing U.S. production. Ecuador, a small producer within OPEC, also said on Tuesday that it is not complying with its production cut of 26,000 bpd due to the country's fiscal deficit which is expected to hit 7.5 percent of GDP this year. Oil Minister Carlos Perez said that Ecuador was only cutting some 60 percent of that figure, putting current output at 545,000 bpd. Gold closed up on Monday and made its intraday high of 1235.88/oz and intraday low of US$1228.12/oz. Gold up by 0.451% at US$1233.82/oz. In daily charts, prices are above 200DMA (1231) and breakage below will call for 1234-1224. MACD is below zero line and histograms are decreasing trend and it will bring downward stance in the upcoming sessions. RSI is approaching neutral region and more upside is expected before it touched overbought region. Stochastic Oscillator is in oversold territory and giving positive crossover to confirm bullish stance for intraday trade. Based on the charts and explanations above; sell below 1241-1270 keeping stop loss closing above 1270 and targeting 1234-1224-1216 and 1205-1194. Buy above 1234-1190 with risk below 1190, targeting 1241-1254 and 1260-1270. Silver closed up Monday on made its intraday high of US$16.18/oz and intraday low of US$15.94/oz. Silver settled by up by 1.322% at US$15.67/oz. On daily charts, silver is sustaining below 100DMA (17.20), breakage above will lead to 17.80-18.00. MACD is above zero line and histograms are increasing trend and it will bring bullish stance in the upcoming sessions. RSI is in oversold region, indicating buy signal for now. The Stochastic Oscillator is in neutral region and giving positive crossover to show upside move for the intraday trade. Based on the charts and explanations above, buy above 15.60-14.10 targeting 16.30-16.80 and 17.35-18.05; stop breakage below 15.30. Sell below 16.30-17.70 with stop loss above 17.70; targeting 16.00-15.60-15.30 and 14.90-14.50. Crude Oil on Friday made an intra‐day high of US46.72/bl and made an intraday low of US$45.77/bbl and settled up by 1.302% at US$46.67/bbl on session close. Based on the charts and explanations above; sell below 46.90-49.00 with stop loss at 49.00; targeting 46.30-45.22-44.60 and 43.80-42.90. Buy above 45.90-43.80 with risk daily closing below 43.80 and targeting 46.90-47.50 and 48.10-49.00. EUR/USD on Monday made an intraday low of US$1.1434/EUR and made an intraday high of US$1.1486/EUR and settled the day up by 0.043% at US$1.1477/EUR on session close. On daily charts, prices are sustaining above 50DMA (1.0877), which become immediate support level, break below will target 1.0626-1.0600. MACD is below zero line but histograms are increasing mode which will bring bullish view. Stochastic is in oversold territory and giving sell crossovers to signal for bearish outlook for intraday. 14D RSI is currently in neutral region and giving upwards directions to consider buy. Based on the charts and explanations above; sell below 1.1540-1.1750 targeting 1.1460-1.1370-1.1290 and 1.1200-1.1140 with stop-loss at daily closing above 1.1090. Buy above 1.1460-1.1200 with risk below 1.1090 targeting 1.1540-1.1620 and 1.1700-1.1750. GBP/USD on Monday made an intra‐day low of US$1.3045/GBP and made an intraday high of US$1.3111/GBP and settled the day up by 1.229% at US$1.3053/GBP on session close. On daily charts, prices are sustaining above 200DMA (1.2616) is become major support level. 14-D RSI is currently in neutral region and direction is difficult to predict on RSI bases. The Stochastic Oscillator is in overbought territory and giving negative crossover to confirm bearish stance. MACD is below zero line and histograms are decreasing lead to downward movement. Based on the charts and explanations above; short positions below 1.3100-1.3380 with targets at 1.2990-1.2900-1.2845 and 1.2790- 1.2700, breakage above 1.3400 look for further upside with 1.3450 as targets. 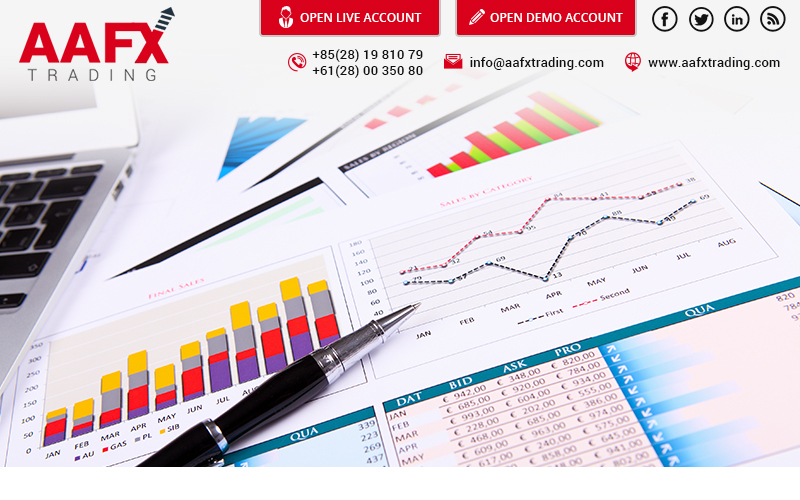 Buy above 1.2990-1.2790 with stop loss closing below 1.2750 targeting 1.3100-1.3160 and 1.3200-1.3380. USD/JPY Friday to made intra‐day low of JPY112.31/USD and made an intraday high of JPY112.86/USD and settled the day up by 0.160% at JPY112.60/USD. In daily charts, JPY is sustaining above 200DMA (108.90), which is major support on the daily chart. 14-D RSI is currently is approaching oversold region. MACD is above zero line but histograms are in decreasing mode which might lead to downward movement. The Stochastic Oscillator is approaching overbought territory and signaling to buy as it has given positive crossover to confirm bullish stance.